You have added Amethyst In A Bottle Necklace into shopping cart. 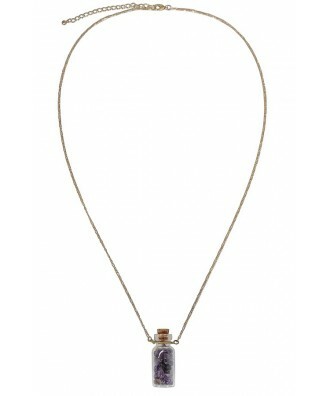 A lovely and whimsical gold chain necklace with glass bottle filled with purple artificial stone beads. 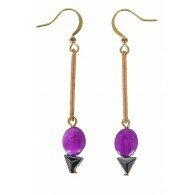 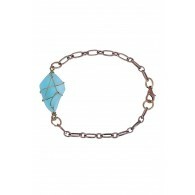 Looks cute paired with a fitted tee and gold earrings. 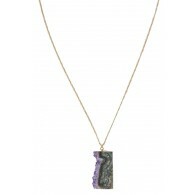 Approximately 14.5 inches in length. 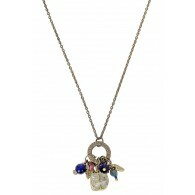 Charm is approximately 1.5 inches. 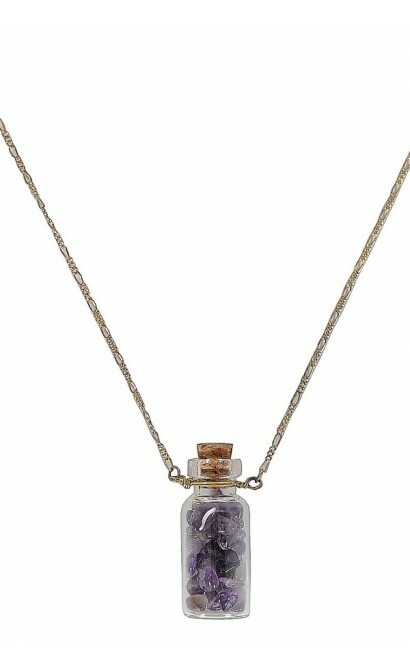 You have added Amethyst In A Bottle Necklace into Wishlist. 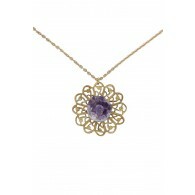 You have added Amethyst In A Bottle Necklace for Stock Notification. 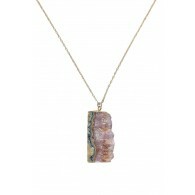 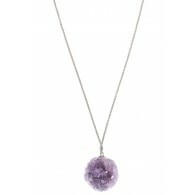 You have set Amethyst In A Bottle Necklace as a loved product. 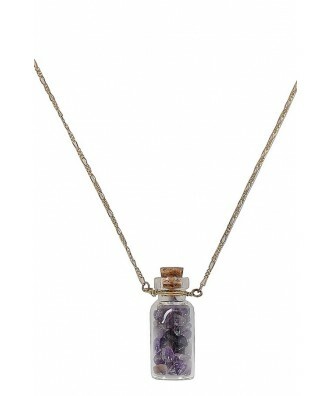 You have removed Amethyst In A Bottle Necklace as a loved product.